Identifying the gene products that are differentially expressed and understanding the biological pathways of the genes involved is a key area for understanding essential mechanisms causing diseases such as cancer and autoimmune disorders. Pathway Studio®, a product of Elsevier R&D Solutions, utilizes a knowledgebase of biological relationships developed from millions of articles and abstracts as well as clinical trials, to assist researchers in this important endeavor. SoftGenetics’ NextGENe software now provides a direct link into Elsevier’s Pathway Studio for Pathway Studio subscribers, allowing seamless mining of biological systems. 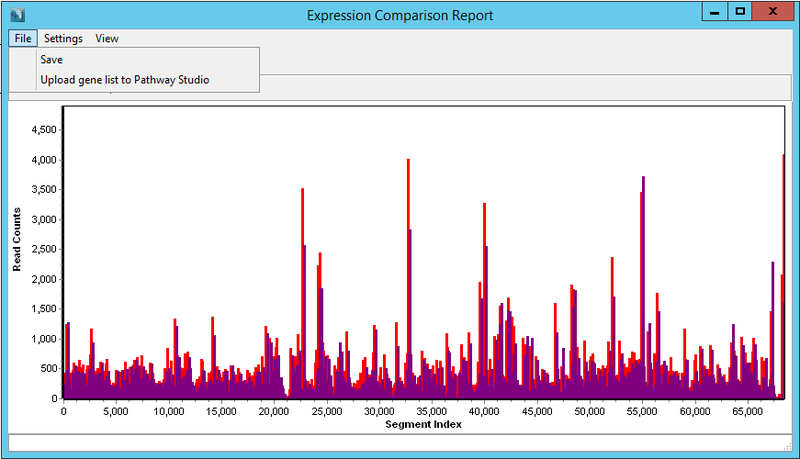 NextGENe software’s Expression Comparison tool can be used to identify the differentially expressed genes and with a simple click of a button, NextGENe software’s expression analysis results can be uploaded to Pathway Studio, enabling the visualization of the disease mechanisms, gene expression and more. This automated linkage can improve laboratory efficiency by allowing researchers to quickly access a broad knowledge base without requiring tedious and error prone manual searches. Pathway Studio subscription can be purchased through Elsevier R&D Solutions. Expression Comparison results can be imported to Pathway Studio with the click of a button to identify the top pathways, diseases and mechanisms related to the differentially expressed genes. 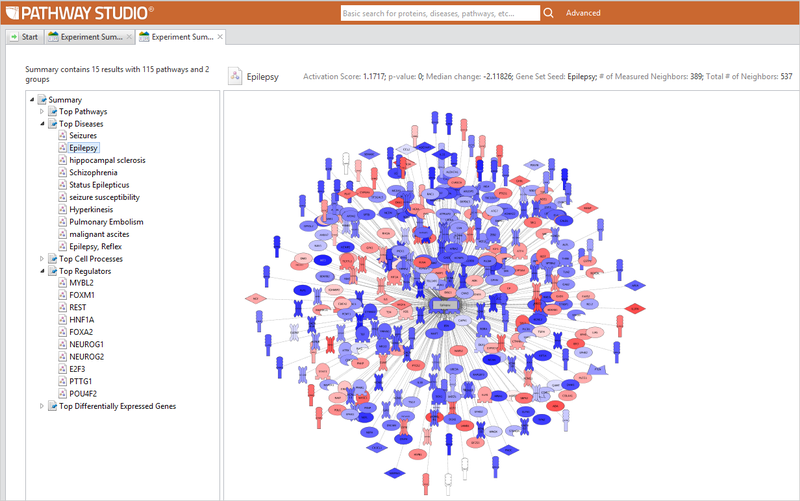 Pathway Studio also provides a visualization of related disease pathways.